French logistics and transport company FM Logistic is about to break ground on its US$30m warehouse and distribution centre in Bac Ninh, 20 kilometres from Hanoi. The initiative will allow the company to tap into the fast-growing outsourced logistics market in Vietnam. Once completed, the new multi-client facility will employ around 300 people and provide 52,000 square metres (560,000 square feet) of storage space for up to 70,000 pallets. Completion of the first phase (21,000 square metres) is expected by the spring of 2020. The demand for logistics is rising in Vietnam, which is one of the world's fastest growing economies, with a GDP growth of 7% in 2018. The increasing domestic manufacturing, the rise in wages and consumption, its young population and booming e-commerce are also driving the Vietnamese logistics market. The new facility has been designed by FM Logistic's sister company NG Concept to handle a wide range of items, including temperature-sensitive products, fast-moving consumer goods, electronic appliances, spare parts and hazardous products. Services offered at the warehouse will include storage (at whatever the temperature requirement), handling, co-packing and distribution. The flow optimisation inside and outside the facility make it suitable for demanding modern retail operations. 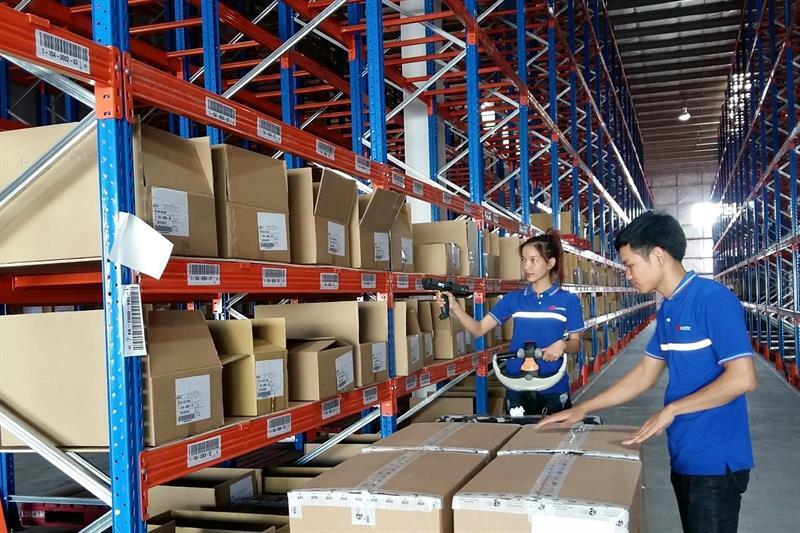 From May 2019, FM Logistic will also start operating a rented 6,500 square metre warehouse in An Phu, Binh Duong, around 30 kilometres north of Ho Chi Minh City.